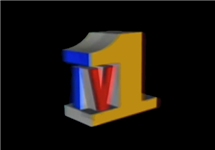 TV1 is a defunct South African television channel owned by the South African Broadcasting Corporation (SABC) which was the first channel to broadcast television in the country in 1976. In 1975, after years of controversy over the introduction of television, the SABC was finally allowed to introduce a colour TV service, which began experimental broadcasts in the main cities on 5 May 1975, before the service went nationwide on 5 January, 1976. Initially, the TV service was funded entirely through a licence fee, as in the UK, but advertising began in 1978. The SABC (both television and radio) is still partly funded by the licence fee. A local soap opera, The Villagers, set on a gold mine, was well received while other local productions like The Dingleys were panned as amateurish. 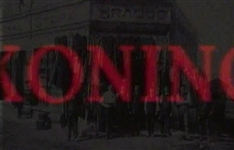 Owing to South Africa's apartheid policies, the British actors' union Equity started a boycott of programme sales to South Africa, meaning that the majority of acquired programming in the early years of the corporation came from the United States. However, the Thames Television police drama series The Sweeney was briefly shown on SABC TV, dubbed in Afrikaans as Blitspatrollie. Later on, when other programmes were dubbed, the original soundtrack was simulcast on FM radio. The SABC TV also produced lavish musical shows featuring the most popular South African composers, solo musicians, bands and orchestras. For example, well-known South African pianist and composer, Charles Segal, was given a half hour special show: The Music of Charles Segal, where a selection of Segal's music was performed by various South African artists, such as Zane Adams, SABC Orchestra, Charles Segal and others. With a limited budget, early programming aimed at children tended to be quite innovative, and programmes such as the Afrikaans-language puppetshows Haas Das se Nuus Kas and Oscar in Asblikfontein are still fondly remembered by many. In 1996, almost two years after the ANC came to power, the SABC reorganised its three TV channels, supposedly to be more representative of different language groups, but in effect giving preference to English, a minority language. These new channels were called SABC1, SABC2 and SABC3 and they ended TV1 as a channel. Numerous international series were aired on TV1 (many only partially before the restructure) including Buck Rogers in the 25th Century, Diff'rent Strokes, Who's the Boss?, Frasier, Miami Vice, Star Trek, Northern Exposure, The Nanny, Dallas, Magnum, P.I. and Mad About You. 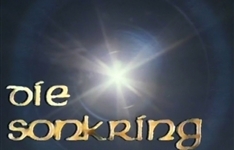 South African productions that aired on TV1 included Agter Elke Man, Konings and its sequel Torings. Summary: Afrikaans-language television drama series which revolves around a woman who seems to bring tragedy and misfortune to those closest to her. Summary: Epic period drama about the struggle between two families for control of a a shop "as big as a football field, where one can buy everything". 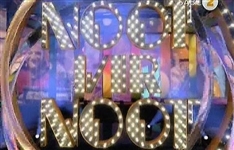 Summary: Game show which features contestants who put their popular music expertise to the test by playing the show's musical games in a series of challenges.